Home>Music> Azealia Banks On "Black Media" Haters: "Just Help Me"
Azealia Banks is quite expressive and uniquely transparent when it comes to sharing her opinions with her following. The rapper dished out a lot of her thoughts last night via Instagram from a place of introspection as she's navigating the holiday season and the production of her new music. Her confidence is unwavering, though the topics she brought up formed a bittersweet picture. After speaking of the progress she's made with her upcoming music project, Banks called out her "haters" in the media. She suggested they could give themselves a break from her in 2019 by simply ignoring her if they do not like her. The emcee called out the "Black media" specifically for trying to "excommunicate" her from the Black community, criticism her based on standards that stem from what she calls "the messiah complex," a righteousness that is simply too much pressure for anyone to handle. "God gave me my blackness. There's nothing any mortal can do to change that." "If nobody wants to help me. Why don't you just help me instead of making it worse? And then laugh at me when I can't help myself." She states that nobody can take away the contributions to culture and concludes saying she will simply focus on her artistry in the next year while minding her business and making new friends. "I'm just going to keep my opinions to myself because I'm tired. I have no energy left to defend myself"
Azealia is excited about her new music and previewed some tracks produced by Parks, a Joe Budden collaborator. "I'm really excited to show off my musical theater jazz training chops." "I really miss my mother. Really want to talk to my mother for Christmas"
"I know she likes that kind of music and she raised me on this music." 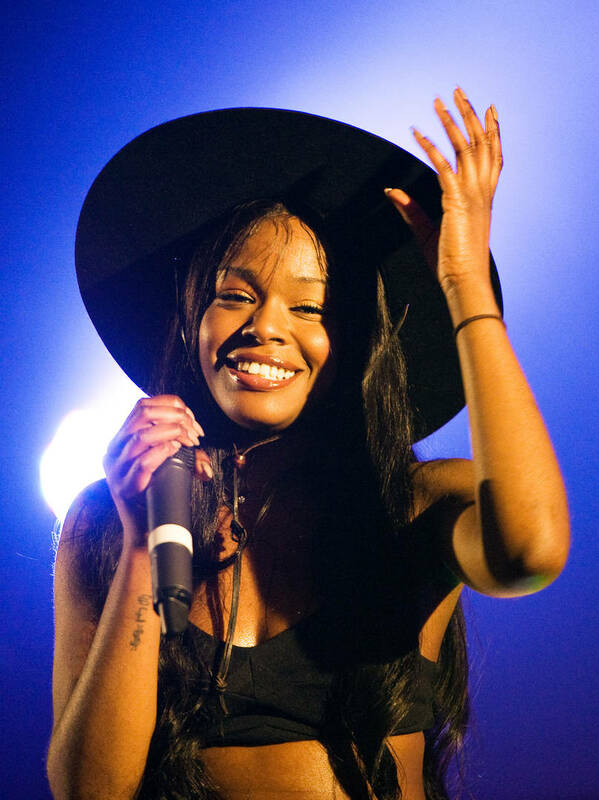 MUSIC Azealia Banks On "Black Media" Haters: "Just Help Me"